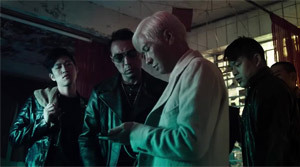 Review: Nick Cheung couldn't really convince with his directorial debut "Hungry Ghost Ritual". He may have proven that he has a sense for style, but didn't manage to give his film a heart. His second directorial attempt "Keeper of Darkness" in fact, and by far, heads into a better direction and accordingly is also easier accessable by a lot. This isn't just because of the interesting and in a twisted way likeable protagonist. The more lighthearted tone at times also adds to this. All in all the movie presents itself as an unsual mix of different genres, which in and by itself would work out just fine if it weren't for the fact that the different parts aren't put together in a meaningful way, leading to the movie looking less like one single picture, but more like a work with different color sectors. However, the atmosphere and the protagonists manage to hold the film together in the end. 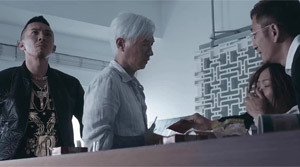 The story's heart is the white-haired exorcist, who Nick Cheung ("Unbeatable", "Helios") bestows just the right amount of seriousness and deadpan humor upon. Thanks to him you will soon find yourself emerged in the ghost story which reminds you of those 90s flicks - just visually more polished. 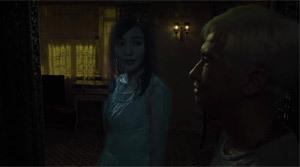 The story by Yeung Sin-Ling ("The Bullet Vanishes") actually revolves around a particularly vengeful ghost, but too many elements take of the necessary weight this horror story could have had. Consequently, this flick isn't creepy at any point, even though the atmosphere in fact reminds us of that of a horror film. Elements of a drama and a love story make this story zig-zag, though, so that the result is some sort of disorientation. This is made even worse by some bad editing. Up until the finale it's easy to overlook the problem of a shabby editing. But after realizing that the finale isn't the movie's actual climax it becomes obvious that the flick all too often simply jumps from one scene to the next. At times even without having a real reason. It also remains questionable why the movie has to pick up the romantic story thread and even add elements of a Korean tv drama to it, which the film actually made fun of prior to that. The humor on the other hand works surprisingly well. Especially Louis Cheung ("Ip Man 3") who constantly gives Nick Cheung good cues for him to show off the deadpan humor of his cool exorcist. In general, the movie's strong point lies in its protagonists and makes good use of it. And the story is also constructed in a way that you easily could imagine further stories revolving around the tatooed exorcist. The special effects are convincing for most part (only the CGI-fire can't even remotely keep up with them), but "Keeper of Darkness" deserves some special words of praise for them, because they don't necessarily look like much in technical respect. But this is made up for by a lot of inventiveness. 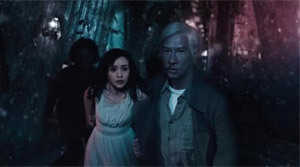 The dark color palette and the distorted ghosts also enhance the movie horrorwise. The soundtrack manages to underline the flick in a befitting manner, too. Unfortunately, the well-achieved atmosphere doesn't mean that you will be given the creeps by Cheung's work. Instead, we get a love story towards the end which can't convince a hundred percent. The drama around Wing-Fatt's mother in fact succeeds in adding to the film's value and the movie also benefits from Karena Lam ("Silk"). If the drama had been woven into the film in a more suitable manner and if the humor hadn't relativized it, the movie actually could have been emotionally more involving. It's easy to imagine that had "Keeper of Darkness" been edited differently this also could have become a completely different movie. Most importantly, better editing would have led to more coherence as well. That's what the flick truely lacks and what oftentimes drives the movie into the ground. A lot of scenes simply seem to be put together randomly. It's also a shame that the humor may be one of the more successful elements of the film, but that it also damages the horror elements. 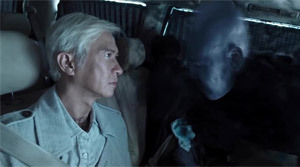 Even though the flick may be falling short considering what it could have been, the fact remains that it is a big improvement over "Hungry Ghost Story". Moreover, the atmosphere and the protagonist will win you over. The screenplay's ideas aren't bad either, yet there is still the lack of a red thread. Nonetheless, "Keeper of Darkness" certainly is interesting, and a sequel is also hinted at. Why not?